iI is important that we do everything possible to be securing records. 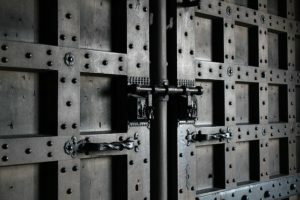 Have you been adequately securing records? Do you have a disaster recovery plan? What would happen to you, your institution, and your students in the event of a disaster? While the nation is recovering from the most recent storms—Harvey, Irma, and Maria—we reflected on our preparedness at Weber & Associates. We know there will be winter storms, spring floods, and tornados ahead. The disasters will continue to occur, and our only control is to protect our institutions and our students’ records from such disasters. As Christian educators, we must plan and take the time and actions to accomplish that protection. Proactively securing records is our responsibility. I cannot help but reflect upon the plans my wife and I made when we resettled our business after living in Florida on the edge of hurricane Andrew in 1993. Most of all, we wanted our family, our business, and our customers’ records to be safe and secure. In that effort, we did not want to be subjected to hurricanes or tornados, which could devastate the business. So, we chose to settle in the upstate of South Carolina where we are safe and protected—we are located 200 miles from the ocean and just east of the Appalachian mountain range. When we built our facility, we secured the data center with walls equal to a bank vault, equipped our building with external lightning rods, which help prevent unwanted electrical events, and developed our disaster recovery plan to be ready in case of an emergency. You cannot easily relocate your institution, and you may not be able to make the choices we made. However, you can make a serious effort to be prepared to protect your school and your students in a catastrophe. Below are several questions to ask about securing records that will help you prepare for an unexpected disaster. Are you prepared? Have you been adequately securing records? Most importantly, does your institution have a disaster recovery plan? Is it written and regularly reviewed, and do all employees have a copy of the plan? Is your institution’s computer center, server room, or data center secure from weather anomalies or other unwanted intrusions? Is your important computer hardware and software safe from unwanted intrusion or disastrous weather events? Is your institution’s Internet site secure and available when weather events occur? Are your institution’s computer records backed up to a site away from the campus and potentially another city? Are your computer records saved and backed up in the cloud? Are your computer records backed up in real time or at a minimum, daily? Is someone at your institution installing software updates on a regular basis? Failure to do so may lead to unwanted intrusions or hacking of your private records. If your institution’s financial aid records are paper-driven, as opposed to digital, are the files secure from fire, flood, or unwanted visitors? 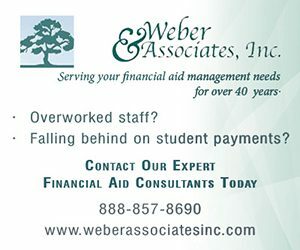 If your financial aid office continues to be paper-driven, are the active files laying around the office waiting to be reviewed? If so, what should be done to protect those files if wind or water disaster would occur? If your institution uses a third-party service to manage its financial aid processes, how is that organization protected from disaster events? Do they have procedures to protect your institution’s records? Do they have generator power backup? Are their records primarily paper-driven? How would they serve your institution if such a storm were to affect their location? Is their office in a location subject to such disaster events? Does your institution have a secure Internet system whereby any private records sent to students, the U.S. Department of Education, your third-party service, or any other agency are encrypted and protected? It is difficult to take these actions all at once but it is important that we do everything possible to be securing records. We would suggest evaluating each of the items in the list and do an honest self-evaluation of your institution’s situation, then take the necessary actions to avoid those problems that can be avoided by being prepared. Christian Colleges and Universities: Do You Have a Governance Crisis? Perkins: Do We Liquidate, or Do We Wait? Would We Lose Donors If We Become a Liberal Arts College? How do we keep a focus on God as a significant part of our schools? There is so much more that can be done other than weekly chapel and classroom devotionals. This book offers: practical concepts, outside of the box ideas, and cost effective strategies. 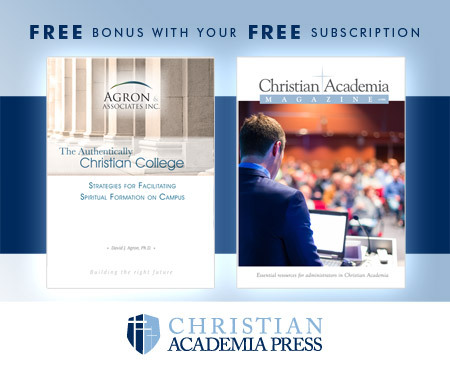 A must have resource for Christian Academia! Check our next issue for your download link. Please check your email for confirmation. Then download link will be sent.